SPANISH Formula 1 star Fernando Alonso says he is unsure as to whether he will race at this weekend’s Chinese Grand Prix. 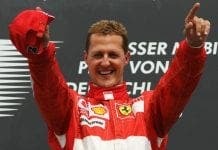 The 34-year-old will be examined by governing body FIA’s doctors at the track on Thursday. 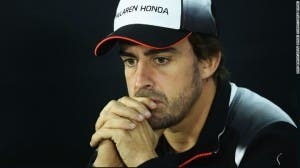 Alonso was recently refused authorisation to compete at the Bahrain Grand Prix. Doctors from the sport’s governing body – the FIA – found that he was still suffering problems in his neck following his terrifying crash at Melbourne’s Australian Grand Prix. Alonso’s McLaren collided with Haas’s Esteban Gutierrez, sending him into the air before he crashed down into the gravel trap and wall.